A sprawling Connecticut estate, complete with its own private art gallery, could eventually become the priciest home sale in Litchfield County. The compound in Sharon, Conn. is on the market for $20 million, the Wall Street Journal reported. 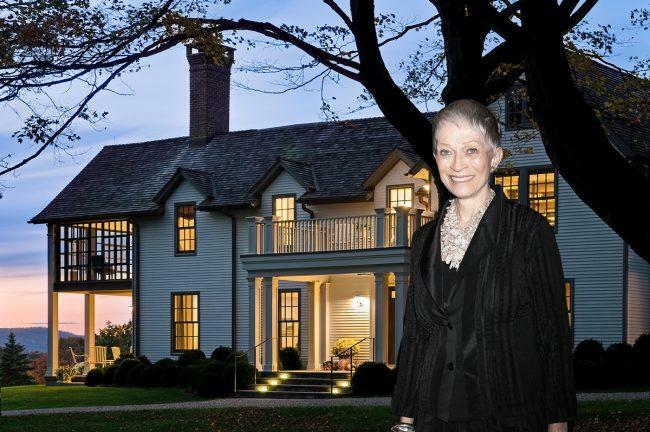 The property is being sold by the estate of Melva Bucksbaum, a longtime trustee of the Whitney Museum of American Art who died in 2015. Klemm Real Estate’s Graham, Carolyn and Peter Klemm have the listing. The compound spans about 51 acres — with a roughly 9,000-square-foot main house and a 14,000-square-foot art gallery. The property also includes a swimming pool and a pool house with a library on the second floor. Two guesthouses and a two-bedroom caretaker’s cottage are also on the property. Bucksbaum bought the main house and about five acres in 2005 for $3 million, the report said. She paid $1.5 million for the adjacent 45-acre parcel in 2015. Bucksbaum was the widow of the late Martin Bucksbaum, co-founder of mall giant General Growth Properties, which Brookfield Property Partners purchased in 2018. She and her fourth husband, former commodities trader Raymond J. Learsy, were well-known for collecting contemporary art. The listing is on par with former tennis great Ivan Lendl’s Litchfield County estate, which has been on and off the market for years. It’s currently asking $19.5 million.